ST. LOUIS • They were warned they’d see heartbreak and devastation. But even those words couldn’t describe what several hundred alumni from Cleveland High School found Wednesday evening when they put on surgical masks and re-entered their south St. Louis school building, a place they affectionately called the Castle. St. Louis Public Schools opened up the century-old building to the public for about an hour as part of a larger effort to find buyers for 21 of its vacant schools — nearly all of which have fallen into various states of disrepair. At Cleveland, nine years of water damage, vandalism, looting and environmental exposure had turned the building into a horror show inside. The gym walls are covered in graffiti. Classrooms are strewn with rubble. But the exterior of building — including its two iconic towers — appear unharmed. As the crowd moved beneath the arched entrance, Linda Cappiello-Anselman walked toward the cavernous auditorium. She hadn’t been inside it since her 1984 graduation. She and her husband used flashlights to make their way toward the stage. Daylight peered through holes in the ceiling. They could barely make out the Art Deco murals on either side of the stage that a Cleveland art director painted in the 1960s. Thirty-one vacant school buildings are scattered across the city, relics of a time when St. Louis was teeming with children. Several are under contract. Many are architectural gems. Some were designed at the turn of last century by renowned St. Louis architect William B. Ittner. The symmetrical design and brickwork of Ittner’s buildings became a prototype for school architecture nationwide. The deterioration of St. Louis’ vacant schools is emblematic of the district’s struggle with decades of declining enrollment. As students have left for the suburbs and charter schools, the district’s student population has fallen from its peak of 115, 543 in 1967 to about 26, 000 this year. And as a result, superintendents have chosen to close schools, rather than leave students in half-empty buildings that can cost hundreds of thousands of dollars each year to heat and maintain. In the last 10 years, 45 buildings have been vacated, leaving 74 occupied. Among the closed schools: Walnut Park School on Thekla Avenue, which closed in 2003; the Banneker School on Samuel Shepard Drive, which closed in 2004; and the Lyon School on Vermont Avenue, which closed in 2010. 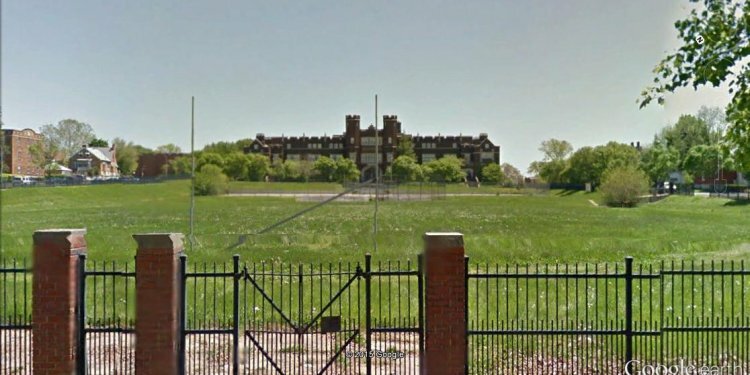 St. Louis school officials have come under increasing pressure locally and from the Missouri Legislature to sell these empty schools rather than hold on to them in hopes that one day the district’s enrollment would rebound.